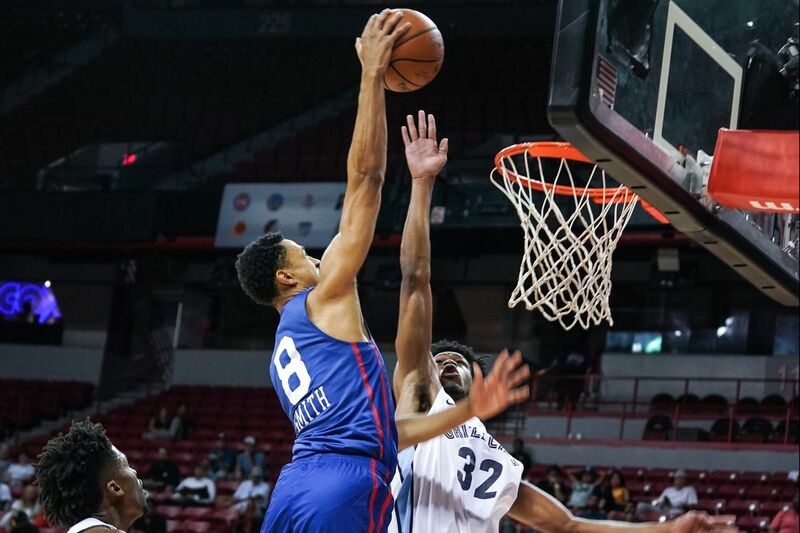 The 76ers expect injured rookie Zhaire Smith to be available to play in a game around Christmas, league sources say. That's the target date for the 19-year-old shooting guard after his Aug. 9 surgery to repair an acute Jones fracture of the fifth metatarsal in his left foot. One source added that the time frame is contingent on Smith getting in shape and not having any setbacks. Typically, the recovery time for a Jones fracture is six to eight weeks, but teams usually add two to three weeks. In this case, the Sixers don't want to rush Smith back. After all, they aren't depending on him to make an impact this season. He was scheduled to spend a lot of time with their G League team, the Delaware Blue Coats. The first-round pick from Texas Tech suffered the injury Aug. 6 while participating in Tim Grgurich's development camp in Las Vegas. The Phoenix Suns selected Smith with the 16th overall pick in the June draft. He was immediately traded to the Sixers along with the Miami Heat's unprotected 2021 first-round pick for Mikal Bridges. The Sixers had selected Bridges out of Villanova with the No. 10 pick. The Sixers liked Smith all along, just not at the 10th spot. He averaged 11.3 points, 5.0 rebounds, 1.8 assists, 1.1 blocks and 1.1 steals as a power forward in his lone season at Texas Tech. He was named to the all-Big 12 newcomer team and to the conference's all-defensive team. Unfortunately for the Sixers, he joins a list of recent players to miss at least a portion of their rookie seasons with injuries. The most notable are Markelle Fultz, Ben Simmons (entire season), Jahlil Okafor, Joel Embiid (first two seasons), Nerlens Noel (entire season), and Furkan Korkmaz.